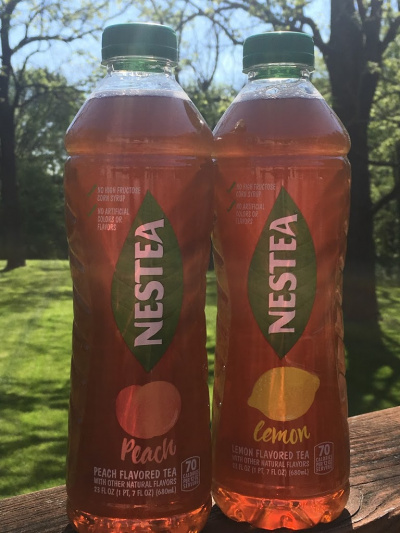 Thanks to the MyMagazine™ Sharing Network & NESTEA®, I received 2 coupons to try out NESTEA®‘s new ice tea for FREE! I decided to try a bottle of Lemon flavor and a bottle of peach flavor. According to what’s on the front of the bottles, there are no high fructose corn syrup or artificial colors/flavors contained. I love that! Both flavors are refreshing and tasted natural, but I probably liked the lemon flavor more than the peach flavor though. I kind of liked the peach, but I only tasted a very subtle peach flavor. The lemon flavor had a more distinct lemon flavor to it. I have to say that both flavors had a great sweetness to them. My daughter tried them and thought that it was too sweet, but it was perfect level of sweetness for me. Who knows, you may like the peach and not like the lemon. Or you may end up liking them both. Either way, if you are an ice tea lover, I would give this product a try. If you are lucky, you may be able to snag a coupon for a free bottle. Head over to the NESTEA®’S website and find out!